Chris Zoupa is a Melbourne-based guitarist, teacher, songwriter and part-time producer. 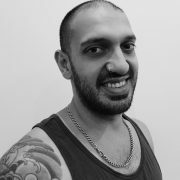 Over the past 15 years of teaching he has amassed many students and honed his teaching craft into what he calls “The Zoupa Method”. He now has many students all over the world, from England, Ireland, Scotland, the USA, Jordan and Mozambique. Chris has played with many bands and artists including: Tremedy, Giants Under The Sun, Bellusira, Rob Draper, Spectrum and Alice Tovey & The Apostles. 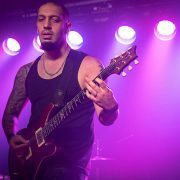 Chris’ internet presence and notoriety took off when he started his YouTube channel Chris Zoupa/Learn That Solo, which is primarily devoted to rock and heavy metal lead guitar and solos. 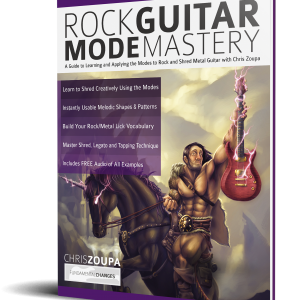 Chris wrote instructional and educational articles for UltimateGuitar.com for 2 years and was a teacher on their instructional app. 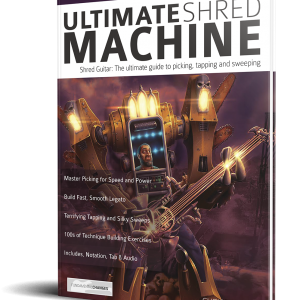 After his work was seen by Australian Guitar Magazine he left Ultimate Guitar and focused his energies on regular contributions to the magazine. With many years of live performing and teaching, Chris now wants to create a no-nonsense set of lessons to help everyone, regardless of their technical ability or level of music theory knowledge. These lessons will focus on creating an awareness of scale knowledge, usage, and practical application – and, of course, the secrets, hacks and short-cuts to the many great guitar techniques.